MBA still continues to stay the most popular career option. A variety of programs and specialization’s are being provided. Increased job opportunities in different sectors of the society. The economic development of India has been extensive and constant. The growth has been imminent in the industrial sector. It is for this reason that the demand and popularity for business related courses has increased manifold. MBA courses are the most popular out of all the business related options. A wider scope and numerous job opportunities make it superior to the other available possibilities. After successful completion of the course one can work in the financial, marketing, human resources, or retail sector of an industry. The list is, however, not restricted to these and there is a wide variety of options to choose from. MBA education helps get a better overview of the business world. One need not start at the base level after having done an MBA. 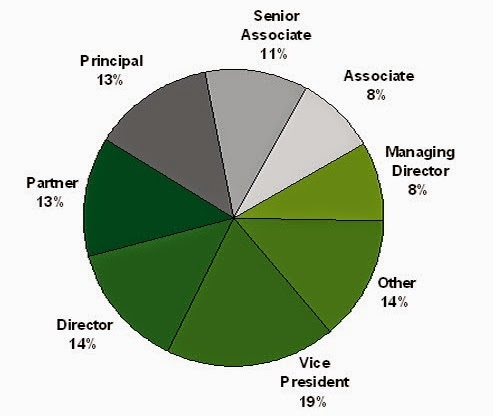 MBA professionals are placed almost at the top of the ladder as managing executives, business leaders, etc. from where the climb higher is even simpler. With a boost in the industrial sector, and the constant influence of upcoming companies, the scope of MBA is increasing every day. However, some people beg to differ. A fraction of the society feels that the hubbub created around the course is highly over-rated, that this course is getting more attention than it actually deserves. This school of thought stems from the fact that most people in our country favor a career path in MBA in search of lucrative jobs and high salary packages. No importance is given to personal growth and skill development in order to generate economic value. Moreover, a pass-out from any of the leading B-schools is automatically considered intelligent and good value for money by companies, when history has it that many leading business tycoons and entrepreneurs in the country today are ones with no formal education at all. This goes to conclude that eventually it is inherent passion that should drive a person’s motivation and not just the thirst to obtain a lucrative degree. Negatives aside, the popularity of this course in the country continues to flourish with an increasing number of students aiming for the top B-schools, both in India and abroad. The esteemed MBA colleges in India like IIM’s (Indian Institute of Management) employ the help of CAT exam to enlist students. This test is now a computer-based exam which tests the quantitative, data interpretation, logical, analytical, and verbal ability of the candidates. Since 2009 many other colleges have started accepting CAT scores as the basis of admission. 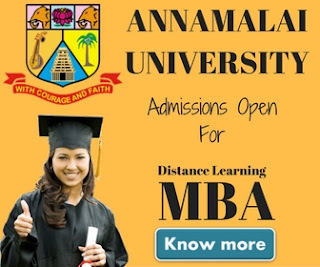 The complete list of top MBA colleges along with all the related information pertaining to management studies can be obtained online. Two-year (Full Time) MBA: This is the main program offered by almost all colleges in the country. The colleges which are autonomous like the IIM’s offer a post-graduate diploma in management (PGDM) or Post-graduate Programme in Management (PGPM). According to AICTE only registered universities can provide an MBA degree. The difference between the diploma and degree is not much. While an MBA degree focusses on the theoretical aspects of business, a diploma is more industry-oriented with a focus on case-studies. Accelerated MBA: This is like a crash course in MBA with tightly packed classes and an aim to finish the full time MBA as soon as possible. Part-time MBA: This program is specially designed for the working professionals. The duration of this program is longer, about 3 years, as the classes are held on weekdays after working hours or over the weekend. This is a more flexible kind of program. Executive MBA: This program is devised specifically for working professionals who generally have more than two years of work experience. It is very similar to the general MBA program but is designed to provide education to managers, executives, entrepreneurs, and other business leaders. Executive MBA is part-time. Apart from this a number of colleges offer the 1 year executive MBA program based on GMAT scores. They include ISB, IIMB EPGP, IIMA PGPX, IIMC PGPEX, and XLRI GMP to name a few. After the completion of this program one can continue to work at their current position or look at better avenues. The ability to accept different kinds of responsibilities increases making the individual an important asset for the smooth functioning of the company. 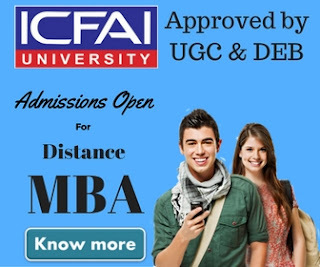 Distance Learning MBA: These programs are attained through non-interactive broadcast video, correspondence courses by postal mail or email, live teleconference or videoconference, pre-recorded video, and offline or online computer courses. A number of universities like Symbiosis, IGNOU, Annamalai, etc. are well known for their distance learning programs. Dual MBA: This is where a normal MBA degree is combined with another, like MS or MA. Online MBA: Since the dawn of smartphones, 3G, tablets, and broad-band, students who are not able to enrol in a normal course can obtain the education of their choice online. Management related lectures and case-studies are uploaded, which can be readily accessed. There is no requirement of attending classes and assignments and exams are also conducted online. A wide variety of career options are available after having done an MBA. One can work in finance, marketing, human resources, operations, or retail. Many other possibilities are available as well. Marketing: This particular field requires an individual to have strong convincing skills along with the ability to influence other people. These traits can be easily learnt and developed. The success behind any product lies on how it is being marketed and hence the demand for marketing professionals is very high. A marketer has good communication and presentation skills. He is involved with selling, product designing, pricing, and advertising of a commodity. In our country FMCG companies like Johnson and Johnson, Nestle, Unilever, Pepsi, Procter and Gamble etc. are always on the lookout for experienced marketers. Also, companies like BPL, Maruti Udyog ltd., Bajaj etc. have a variety of jobs to offer. Finance: Job opportunities after an education in finance are numerous. A challenging job profile and a lucrative salary form the crux of this specialisation. Some of the beginner profiles in finance are analysts and advisers for Credit Risk Management, Financial Research, Personal Financial Advising, Portfolio Managing, and Securities/Investments Analysis. Government agencies like Bharat Dynamics Limited, National Thermal Power Corporation (NTPC), etc. employ financial analysts for their functioning. Human Resources: An HR professional handles training, recruiting, team building, employee policy, salary, employee healthcare, increments and benefits, and many other employee oriented domains. He needs to possess good negotiation and leadership skills along with the ability to tweak operations according to employee needs. Having excellent communication skills is a mandate. Every company requires an effective human resource team; hence HR professionals can find jobs in any organisation, both public and private. Apart from these specialisations, there are many others which are fast gaining popularity like MBA- international business, agriculture, media management, family business etc. The scope of doing an MBA in the country is very high in the year 2014.